Since 1992, Fort Union Supply and Trading Co. has provided janitorial equipment and cleaning products to customers throughout Williston, ND. We carry high-quality products at affordable prices, all backed by more than 30 years in the janitorial supply industry. Contact us for information about pricing, delivery and product availability. When your business needs wholesale cleaning supplies in Williston, ND, partner with a provider that’s been serving the janitorial needs of customers since 1992: Fort Union Supply and Trading Co. 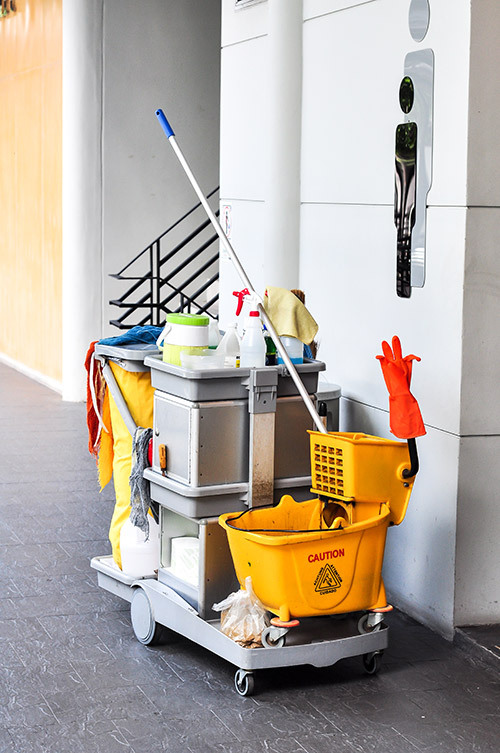 Whether you’re a small business concerned with keeping your facility clean or you’re a janitorial service tasked with cleaning for numerous clients, we’re here to provide you with quality products at affordable rates. Our inventory includes all of the essential products you need to get the job done right, from cleaning solutions and sponges, to brooms, mops, wash buckets and waste containers, and beyond. make it easy for you to keep on coming back to us for all your cleaning supplies in Williston, ND. We offer free local delivery within 30 miles of our location. We have the capabilities to ship nationwide to all 50 states. We have more than 30 years of professional experience in the janitorial supply industry. We take pride in providing a superior level of customer service to all our clients! For access to a full scope of janitorial supplies in Williston, ND, contact us today. We’re happy to discuss pricing and delivery with you, to ensure you’re getting the products you need.